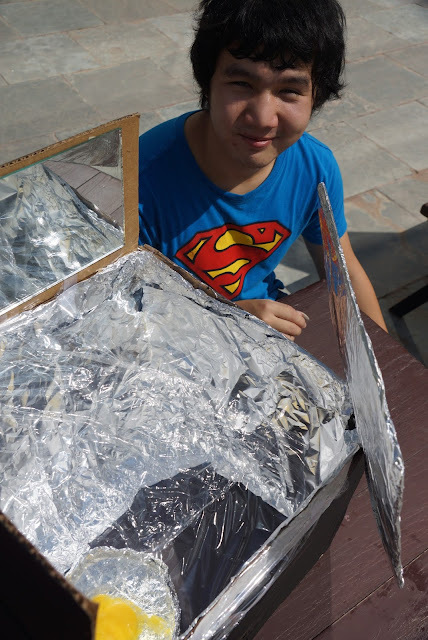 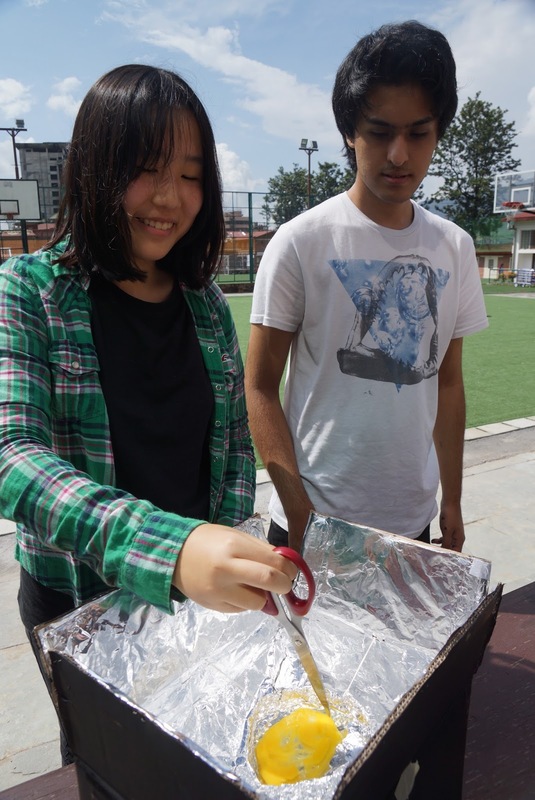 This afternoon, the sun came out just in time for the engineering class to test their solar ovens that they had designed and built. 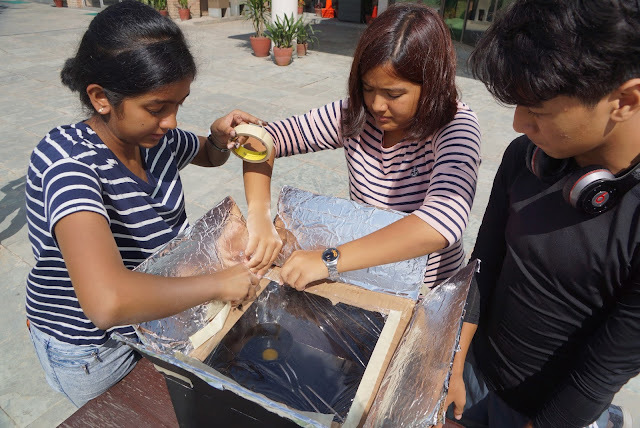 They had to build an oven from everyday materials that was cheap and portable. 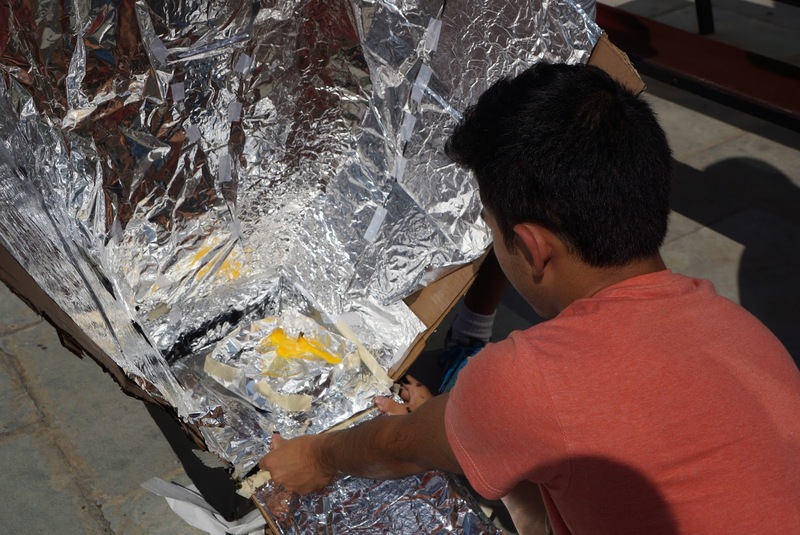 To test it they cooked an egg . . . . . . slowly!